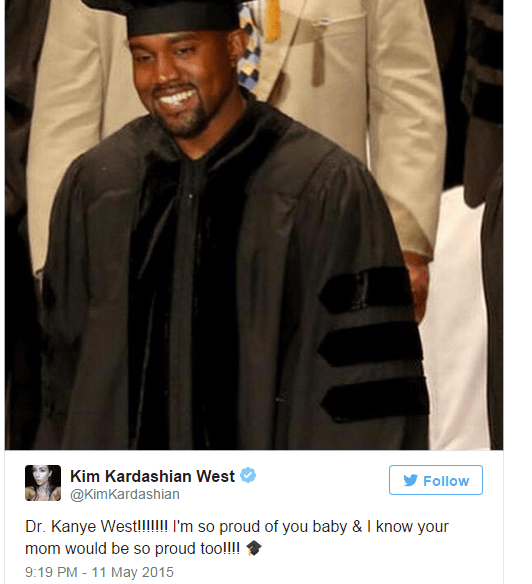 You may not like Kanye West but he seems to be winning—as he joined the many promiment people in the world with honorary doctorate degrees. The rapper, 37, has been honoured with a doctorate degree by the School of the Art Institute of Chicago. ‘I felt my nerves a bit, and I don’t feel that feeling a lot, The nerves of humility and modesty when being honoured,’ said excited Kanye West. 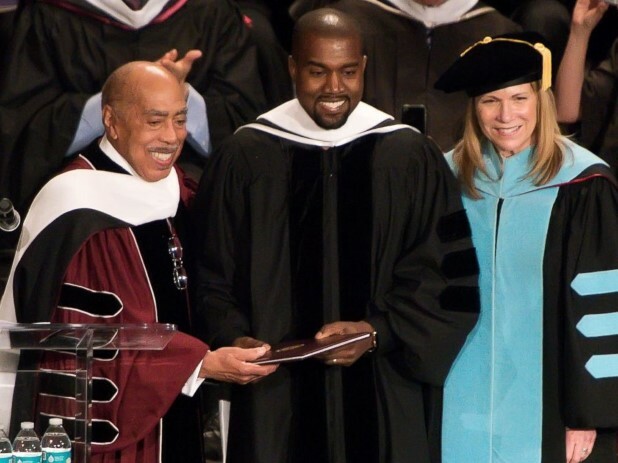 Kanye West shared the stage with three other honorary-degree recipients: a Chicago gallery owner, Rhona Hoffman; the president and director of the Art Institute of Chicago, Douglas Druick; Janet Neiman, of the LeRoy Neiman foundation.